Feeling a little disposable coffee cup guilt? Get a re-useable coffee cup. I would say coffee is my number one ‘oh dear maybe I shouldn’t have done that‘. 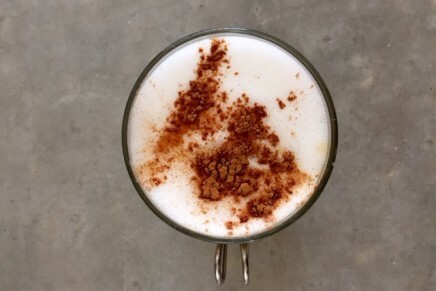 I feel a little naughty when I drink it, as I know I will get a buzz that will last a few minutes and then a mostly jittery feeling that lasts way longer than I would like it to. Until cacao bars overtake coffee shops though (and from which we shall receive a nice warm buzz in our heart spaces, as opposed to the jittery buzz of coffee), I will continue to allow myself this little (kind of) treat on occasion, and try not to feel guilty for it. I do however get coffee cup guilt quite strongly. I keep reading about how many coffee cups (and plastic lids) are wasted every year, and what they do to the environment (check this TED Talk for some stats). For some, there is a special feeling you get when you get a coffee on the way to work, or drink a cup whilst going for a walk in the park – like a morning ritual – and a normal flask from home doesn’t really match up to the takeaway feeling. Recently, there are some great little initiatives happening in coffee shops, where you can buy a reusable (and hopefully eco friendly) cup that still has a special ‘different’ feeling when you drink it. 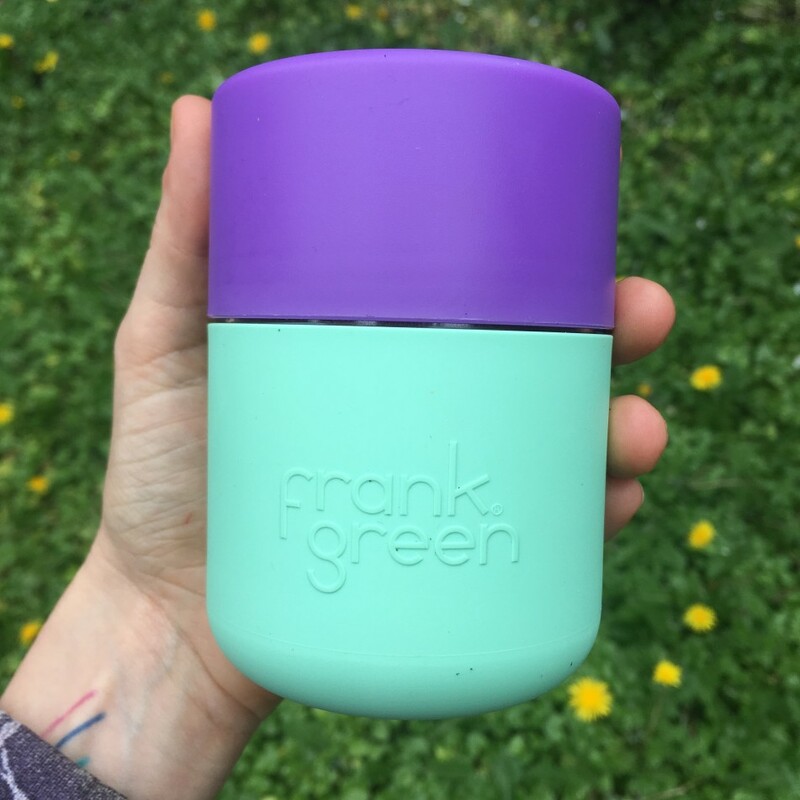 I found the Frank Green cup in a local London coffee shop and this makes me happy. The coffee shop also adds a little discount when you use it, so, at sometime, when you have added up your coffees, you will have made your money back… It’s also quite interesting to note how much an average person spends on a coffee! Every year in the UK alone, over 2.5 million disposable coffee cups are thrown away. Sign this petition to add 5p to every disposable coffee cup.